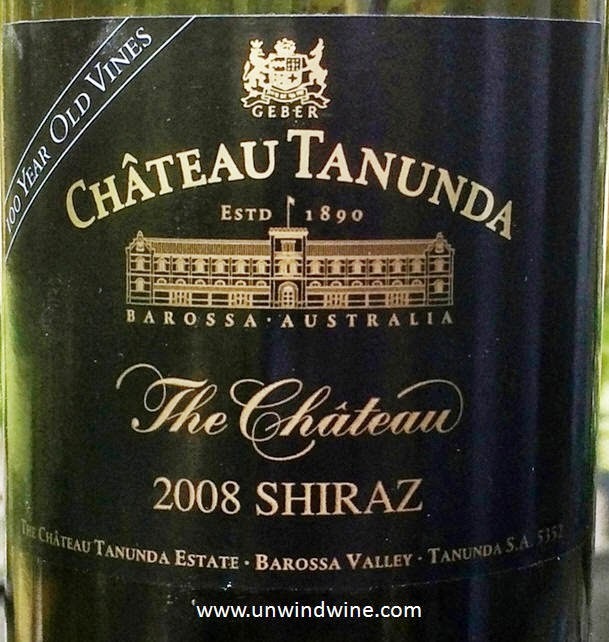 For barbecue rib dinner we pulled a California Syrah and a vintage Chateauneuf du Pape and friend Bill brought a classic Tanunda 100 year old vines Shiraz. Son Sean prepared a starter of classic Coquilles St-Jacques (Gratinéed Scallops). Coquilles St-Jacques simply means "scallops" in French. For the scallops starter, Bill brought a Berncasteler Doctor Riesling Kabinett. 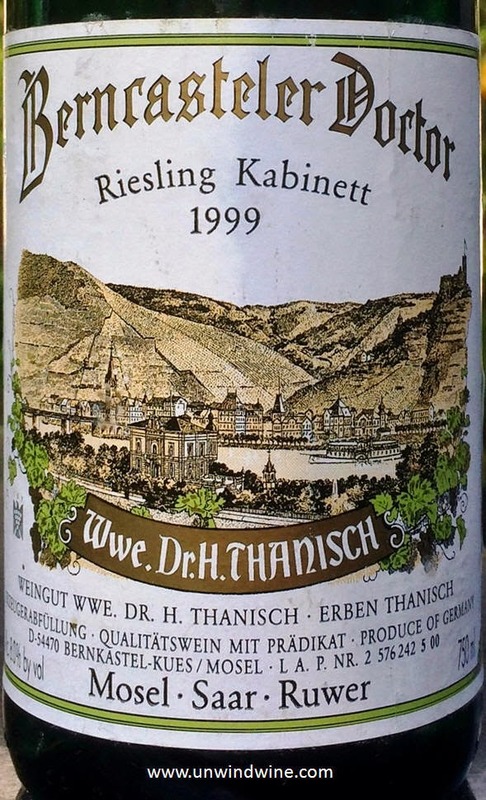 What a surprise in the vibrant bright fruit of this fifteen year old Riesling. The flavor profile was predominate sweet green apple turning to a layer of pear with bright nicely balanced acidity. It drank more like a spatlese with its full body and just the right amount of pleasurable sweetness. Bill was generous to bring a bottle of this select wine from his cellar. We discovered this wine at the Wine Spectator Grand Tour in Chicago when it was being poured by Chateau Tanunda's Dagmar O'Neill. Only 100 cases were produced. We orchestrated a purchase of eight three packs in OWC's which we split amongst the wine team, pictured in this blogspot feature. Bill's notes - "Still the best Shiraz I have tasted and there is a great deal of separation from number 2. Layered and complex with spice, granite, minerals on the palate with a touch of softness not usually expected in a Shiraz. Drinking beautifully now but will last for years." This is a huge thick chewy Shiraz. I can only think of a few that have been this dense and each of them are memorable tastings. It begs for a thick juicy steak or tangy barbecue. Full bodied, complex, concentrated, full lingering tannins predominate the dense, black and blue berry fruits with hints of liquorice, plum and spice and spicy oak. Working through aged bottles in my cellar, I pulled this sixteen year old CDP with it flattened side almost squarish shaped bottle to accompany the ribs. This is the last and final bottle of a case I purchased upon release following my trip to CDP and the Rhone River Valley back in 1999. This property is one of the biggest private owned estates in Chateauneuf du Pape. It took an hour for this to open and reveal its fruits. Of course tasting it alongside the big Tanunda Old Vines exacerbated the difference. This was more old world style with greater complexity and breadth reflecting the blend. This was medium bodied and dark garnet colored - complex slightly tart black and red fruits, hints of earthy, leather, pepper, with berry, mineral, spice nose; it was very tasty, balanced, slightly tart berry, blackberry, black cherry with mineral palate, hints of earthy tobacco and cassis and a medium-plus finish. The blend is old world Southern Rhone CDP style with 60% Grenache, 20% Mourvedre, 15% Syrah and 5% Muscardin. RM 88 points. Consistent notes w/ earlier tastings. It got 92 points from Wine Spectator who cited its "Beautiful. Black color, thick texture, with delicious ripe fruit and silky, sweet tannins." 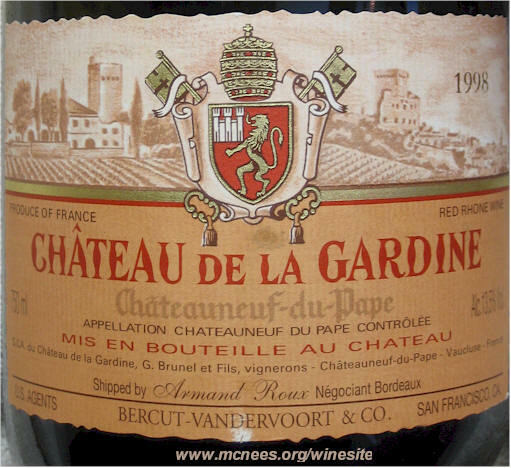 Robert Parker gave it 90 Points and enphasized its "dense, saturated purple color, .... enticing, sweet nose of black fruits, licorice, and violets." He pegged the drinking window between 2003-2016.